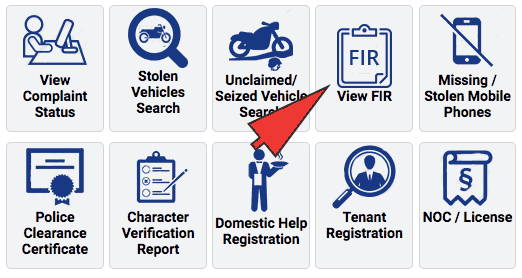 Delhi police giving you online facility to file FIR for your lost documents in Delhi region. Many people are getting benefits of this online services of Delhi police. After filing FIR now you have to track your status. Here we going to explain how to view the status of online FIR. To check the FIR status you should have FIR number. FIR number you received by email or SMS when you register online FIR. 1. Visit Delhi police website. 2. See at the center of the website. Click on "Citizen Services". 3. Click on "view FIR" options. 3. Next page will open, three options will be there. Select one of them as per your need. 4. Just consider clicking on first options one new page will open. Here you have to fill all the required details. 5. After filling this details click on search button. 6. Now your FIR status detail will come on next page. You can print your FIR status report by using the print button.